You are an avid listener of Audible audiobooks and you have synched Audible AA or AAX audiabooks to iTunes library, but only to find that they still are not available on the SoundTouch and they are not convertible to mp3 format. Is there a solution to fix the problem that your Audible audiobooks can not be played on Bose SoundTouch? Of course, you can make this via Bluetooth, but today we want to share you an easy way to play your Audible audiobooks on SoundTouch directly without using Bluetooth. Why Audible Audiobooks Can not be Played on SoundTouch? The SoundTouch speaker series only supports the following audio file formats playback like MP3, unprotected AAC, M4A (including Apple lossless). So if you want to access the protected Audible AA or AAX audibooks on SoundTouch, you need to convert these audiobooks to one of the file extensions we noted above. 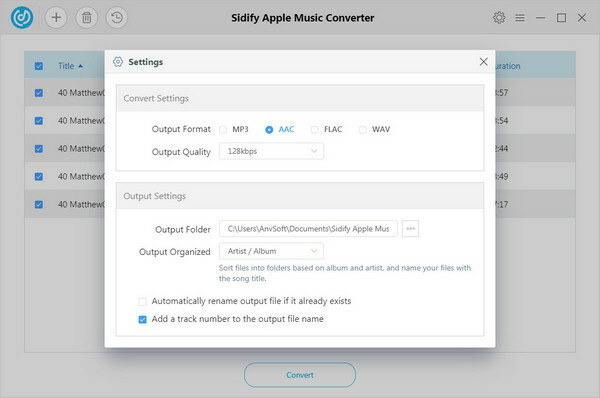 Fortunately, a third party program Sidify Apple Music Converter would allow you to losslesly convert Audible AA, AAX audiobooks or iTunes M4A, M4B to unprotected M4A, M4B. 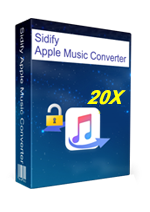 If necessary, you can convert Apple Music songs or iTunes M4P music to MP3, AAC, WAV or FLAC with this amazing tool. Convert iTunes M4A, M4B/Audible AA, AAX audiobooks to M4A. Convert Apple Music/iTunes M4P to MP3, M4A, FLAC or WAV. Keep ID3 tags for better organizing music library. The next part will show you the easy guide to convert Audible audiobooks to M4A which is compatible with Bose SoundTouch, and upload the converted Audible audiobooks to SoundTouch app for playback without Bluetooth. You can download and install this audible audiobook converter on your PC or Mac, then launch it. Note: Before adding Audible AA/AAX audiobooks to Sidify Apple Music Converter, please launch iTunes on your computer to authorize your Audible account by clicking Account > Authorization > Authorize Audible account. Then you can create a new playlist for audiobooks and move your Audible audiobooks to this playlist. 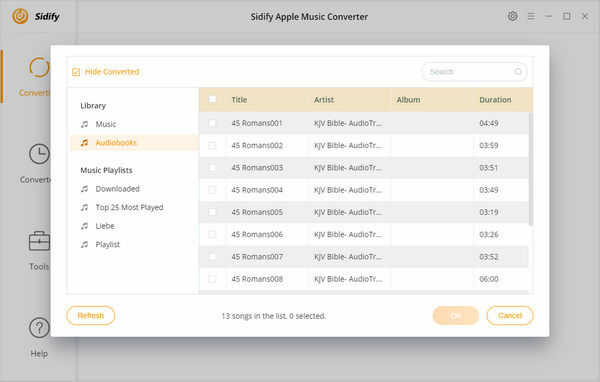 Then back to Sidify Apple Music Converter, click icon, and a window will pop up to show all the audio files on your iTunes library. Please select "Books" on the pop-up window and all audiobooks on iTunes playlist will be listed. You can press "Shift" or "Ctrl" hotkey to select the audibooks in bulk. After finishing selecting the audibooks from the list, you can click "OK" to check. Then you can click button in the top right corner to change the output format, output path, output quality or convert speed. Here you can choose M4A as the output format for your Bose SoundTouch. Now you can start converting Audible AA/AAX audiobooks to M4A by clicking "Convert" button. After the conversion completed, just click icon to find the unprotect M4A audiobooks. 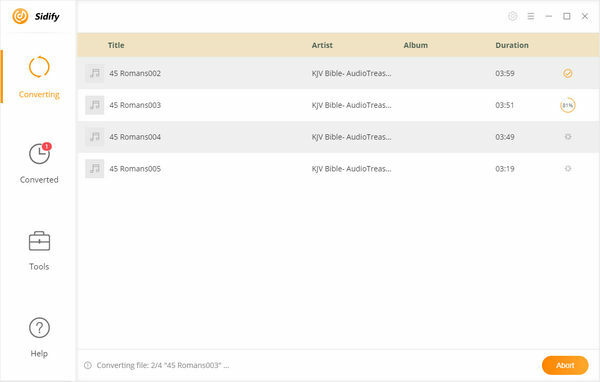 You can add the converted Audible auiobooks to SoundTouch app as the same steps of adding music files. 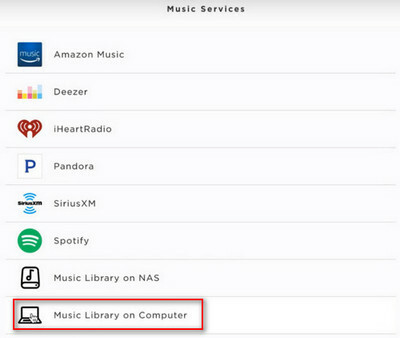 And please move the converted Audible audiobooks into the computer’s "iTunes Music" folder or the "My Music" folder (for Windows Media Player libraries), so that your audiobooks are available for SoundTouch app. And Please make sure that your computer is connected with Wi-Fi. Step 1: Download and install SoundTouch app on your computer or mobile devices if you have not, then launch it. 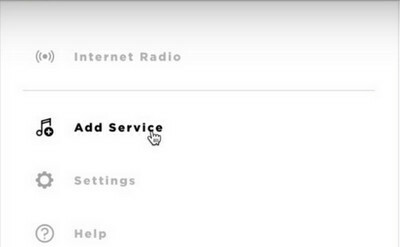 Step 2: Select the Menu icon "(≡)" in the top left corner and then select "Add Service". 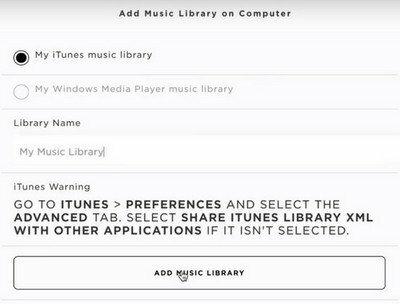 Step 3: Select "Music Library on Computer", then choose the type of library to be added by selecting the circle next to iTunes or Windows Media Player. Step 4: Enter a name for the library and select "ADD MUSIC LIBRARY", then the library will now be available in the SoundTouch app by navigating to Menu (≡) > Music Library. 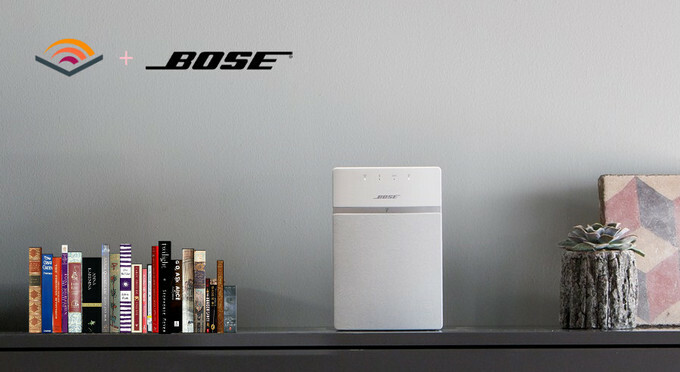 With these simple steps, now you can stream Audible audiobooks on your Bose SoundTouch series. Just enjoy your audibooks in multiroom while doing housework or for entertainment.